rseid3: The health of the environment is at the core of our economic and social system. Corporations, who have a huge impact on the health of these resources for everyone sake, should take more responsibility for sustaining them. Vanguard should institute a Deforestation and Land Grab-Free investment policy across all investment vehicles. 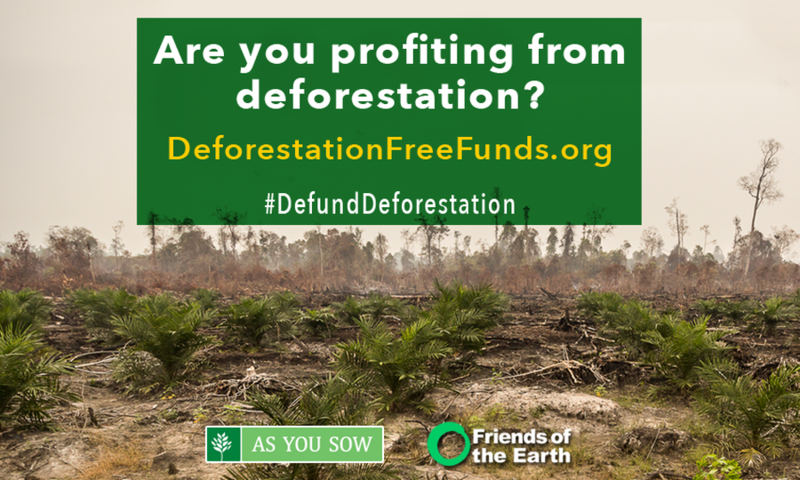 Vanguard holds hundreds of millions of dollars worth of shares in destructive palm oil companies and other forest-risk commodities. Vanguard’s continued financing of palm oil’s worst offenders therefore contributes to far-reaching environmental and social problems and exposes both Vanguard and its clients to reputational and financial risk. Palm oil, used in over half the food and cosmetics on our shelves, as well as in biofuels in many countries, is the single fastest growing driver of deforestation and displacement of forest-dwelling indigenous communities across the tropics, and is a major driver of climate change. Deforestation is responsible for some 10-15 percent of global greenhouse gas emissions – more than the emissions from all the cars, trucks, trains, and buses in the world each year combined. While palm oil production damages the environment as a whole, it has a particularly acute impact on the human rights of marginalized people in the global south, through coercive takeovers of their lands, well-documented labor abuses, and far-reaching impacts on cultures and livelihoods. As such, it is neither sustainable nor just. Many banks and institutional investors are increasingly adopting policies to prevent financing companies that operate in ways that are illegal or unethical – and Vanguard should do the same. 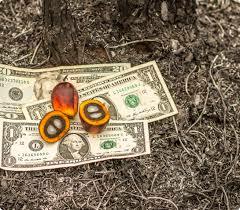 The Norwegian Government Pension Fund, for example, excludes most of the world's largest palm oil companies – including companies held by Vanguard – because they fail to meet the fund’s ethical criteria. CalPERS, the nations largest public pension fund has a a policy to engage with companies inviolved in deforestation as a matter of risk management. Vanguard should follow suit and commit to a Deforestation and Land Grab-Free investment policy that entails four pillars of responsibility: to publicly disclose its deforestation-risk holdings, commit to a deforestation-free, land grab-free investment policy, exclude companies that do not meet the criteria of the aforementioned policy, advocate with the companies it owns to repair social and environmental harm; and to re-invest in a more sustainable future.